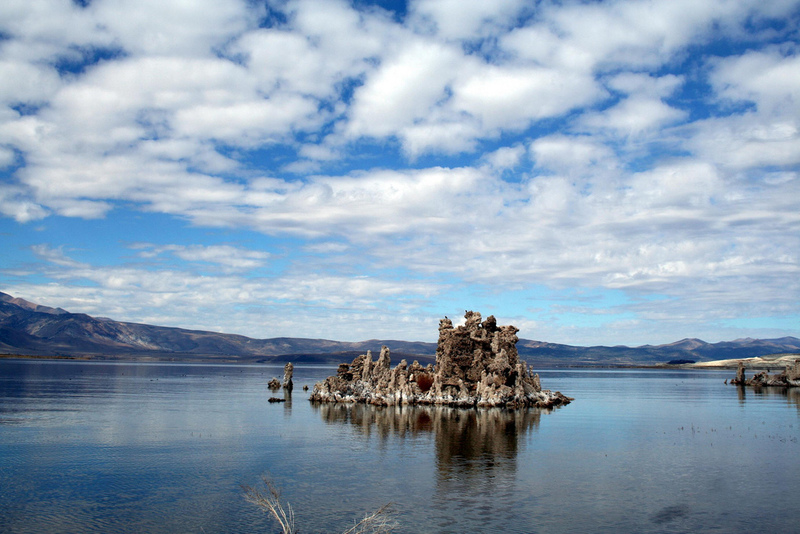 Above is one of the many pictures of Mono Lake in California that will be popping up across the internet in the next few days. It was here that Felisa Wolfe-Simon, a geomicrobiologist and NASA Astrobiology Research Fellow and colleagues found the organism that would bear out their theories. The previously assumed six essential elements of life are Carbon, Hydrogen, Nitrogen, Oxygen, Phosphorus and Sulphur (CHNOPS). Phosphorus and Arsenic are back to back on the periodic table and are so close that Arsenic is able to piggy back on the systems that phosphorus uses, injecting itself into cells and leading to cell death. Wolfe-Simon believed them to be close enough that one should be able to be substituted for the other within the workings of the cell, despite Arsenic's extreme toxicity to living organisms. Mono Lake is an Endorheic or closed basin, having no outlet or connection to the ocean and being the end of the line for water runoff in its local watershed. Any salts dissolved in the runoff end up there and stay there, leading to the very high levels of salinity present in the lake. All organisms living in and off of the lake are adapted to these conditions. It was here that Wolfe-Simon and colleagues came seeking her organism. "Wolfe-Simon and her colleagues collected mud from the lake and added the samples to an artificial salt medium lacking phosphate but high in arsenate. They then performed a series of dilutions intended to wash out any phosphate remaining in the solution and replace it with arsenate. They found that one type of microbe in the mix seemed to grow faster than others." 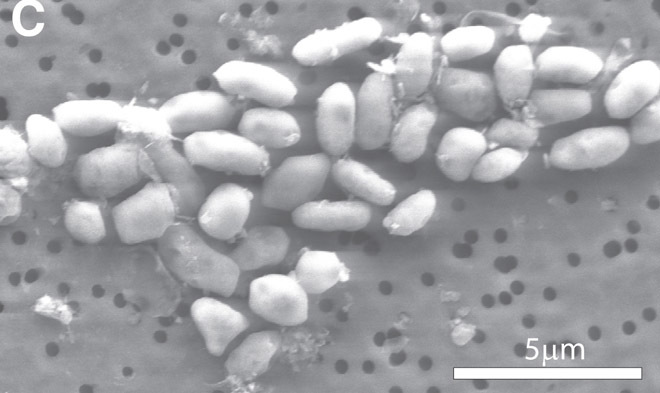 This organism, designated GFAJ-1, apparently flourished despite its isolation from phosphate, an integral ingredient for energy transfer within an cell. Upon closer inspection, the arsenic was found to be present in all the areas they would have expected to see phosphorus, in similar amounts. This has shaken up the scientific community, who now have to come to terms with the possibility that their belief that CHNOPS, the acronym of the six elements mentioned above, was at the basis of all life. Wolfe-Simon has hailed this development as essential to understanding "the essential flexibility of life." Phosphorus is an essential part of energy transference within a cell, as well as being the primary ingredient of the backbone of our DNA. Many are skeptical about the announced findings, suggesting a range of theories to explain how arsenic could appear to be substituting itself for phosphorus without actually doing so. Others suggest that the cells might only be using the Arsenic in specific places, not the widespread integration that the findings might suggest. Whatever the outcome of that debate, Wolfe-Simon herself acknowledges that there is a lot of work still to be done. "We still have 30 years of work ahead to figure out what's going on."